Having a smooth front desk experience, including the process of getting checked-in is important not only for your visitors but for your whole office. The front desk is the first point of contact and helps to keep everyone secure and safe while giving a very positive first impression. We’re joined on this episode by Quinn Walsh, Enterprise Account Executive for The Receptionist. He works directly with accounts who have multiple locations so he knows all about helping create a strong check-in and front desk experience. No one likes to walk into a business and be unsure of what to do or where to go. Have you ever had that happen? Even businesses who have a person at their front desk run the risk of things not running as smoothly as they could because that person can get busy. 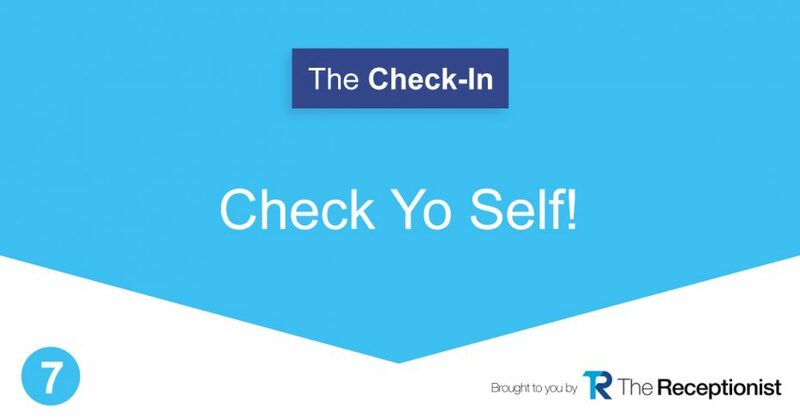 We chat about why it’s so important to be thoughtful about the check-in process, both for your visitors and your employees. Adding in a visitor management system like The Receptionist allows you to up your game when it comes to the front desk check-in process and experience. From being able to have visitors and employees communicate quickly when a guest arrives, to being able to print badges and know who is a guest at your facility, The Receptionist delivers. The Receptionist is not meant to replace anyone (but if you don’t have anyone that is designated to your front desk, then The Receptionist can be a great choice). Our goal is to help you streamline, do away with some of those manual processes that aren’t safe, secure, or efficient, and to create a better check-in and front desk experience for everyone.